What first hits you is the silence. It’s a silence as layered as the undulating landscape itself, filled with the riches of Irish history; of aeons of stories, told and untold. All around you is pale grey stone ribboned with crags and crevices; miniature cliffs spread like mosaics as far as the horizon; and a microcosm of Ireland’s wildlife thrives. Look closer and the true magic of the Burren reveals itself: peeking out from between rocks are the delicate leaves of the early purple orchid; the white and golden Irish eyebright; the metallic blue flowers of Burren grass. A wildly diverse ecosystem awaits any visitor to this corner of County Clare, dedicated a Special Area of Conservation by the EU. Of Ireland’s 900 native plants species, the Burren is home to 70% – including the mountain avens, an Arctic-Alpine plant brought here by glaciers in the last Ice Age. Make sure to call in to The Burren Perfumery and take the scent of the scenery home with you. They say the moon is made of cheese – but we think it could be limestone! The craggy terrain of the Burren is famously lunar in its appearance, its cracked grey stone peaking and troughing for acres upon acres. Formed millions of years ago beneath long-forgotten tropical seas, the unique landscape means that farming here is hardy and unique. Although the rock may appear bare and barren, the agricultural tradition is strong, dating back almost 6,000 years. Countless livestock graze the hills in winter, clearing the ground of tough grasses and making way for the delicate plant life to flourish in spring. Where there’s fauna, there’s food – and The Burren Smokehouse serves up some of the finest Atlantic salmon. 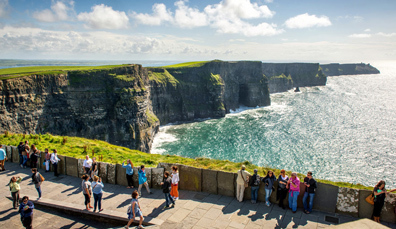 Views of the Cliffs of Moher can only be described as spectacular – take the time to soak it all up. Unsurprisingly, the Burren has been the source and site of symbolism and settlement since time immemorial. Perhaps most famous is Poulnabrone, a gravity-defying portal dolmen that’s perched here for over 5,800 years, guarding the remains of 22 people buried over the course of six centuries. Swing by Leamanagh Castle on the Burren’s border for a glimpse of some 15th-century ruins. Like a huge outdoor museum, there are over 80 tombs scattered across this sparse terrain, dating from the Mesolithic era right through the Iron Age. Once Christianity began to make its mark on Ireland, the Burren was no different; visit Corcomroe Abbey to see a particularly awe-inspiring example of a 13th-century Cistercian monastery. The Burren Centre will walk you through what’s probably the largest limestone pavement anywhere in the world. 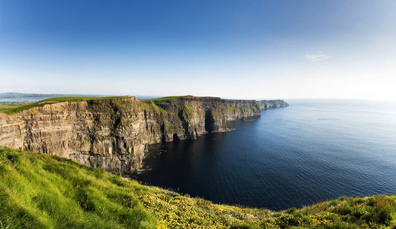 You simply cannot come to County Clare without visiting this heartstopping UNESCO Global Geopark. 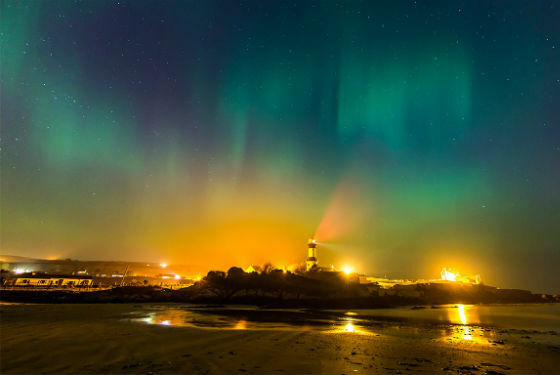 The Wild Atlantic Way stretches north and south from the Burren – so why not take your trip further? If you’re looking for a story you’ve never heard before, take the road less travelled – and write your own.